Wayne and Jo Ann Anderson just swinging. The year flies around so quickly. Already it is time for another Champion School Reunion again. The first one was in 1984. The weather forecast will have us believe that it will be 80 or so degrees, partly cloudy with 50% humidity. That sounds fine for the Saturday before Labor Day. Everyone with any connection to the school is welcome. Come visit with your Old Champion friends, or come to get acquainted with them if you are new to the area. There may be music. There will definitely be a good pot luck dinner starting around noon. Bring your lawn chairs and your instruments if you want to play. Look at The Champion News at www.championnews.us. Over on the right side of the page find Champion School Reunion 2008. There is a picture there called “Dynamic Duo.” It is a picture of Lonnie Krider and Wayne Anderson with the information that they had been playing together for forty years. There is also a nice video of them singing “Once More” together with Linda Clark and Brenda and Luke Dartt. Find that video in the Music Category under “Lonnie and Wayne.” Recently Fae Krider said that “Once More” was one of the first songs that Lonnie and Wayne learned. She said they knew that one and one more, so there was one for an encore, but no more. They learned more as the years went by and were both accomplished and generous musicians—both gone on now and much missed by the many privileged to have known them. 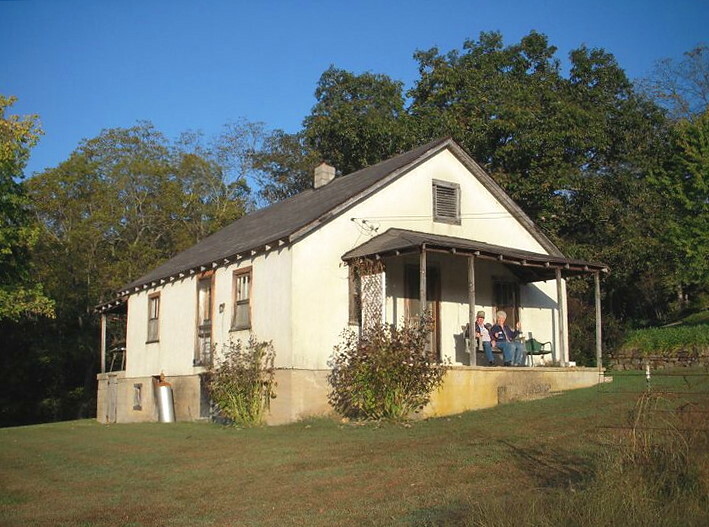 On the way to Ava one spring morning a couple of years ago, a Champion happened by to see Wayne and Jo Ann Anderson sitting on the porch of their old house. How often they must have sat there together looking out over their beautiful garden. They had a lovely view of the sunrise and were great fans of the Bright Side like all Champions. Pete Proctor will be going on the Honor Flight to Washington D.C. this week. It is an important program for Veterans and his friends are glad for him to have the opportunity to go there again to see all the memorials in the company of other Veterans. Hopes are he will be at the Champion School Reunion to share his adventure with family and friends. Pete and The General and others put a lot of good effort into The Denlow Cemetery. It always looks good. He is also very active in the American Legion and officiates at Veteran’s funerals in the area. Someone contacted Pete the other day to say they had been in Mountain Grove and had seen a tall flagpole over in the west part of town with a Confederate flag flying above the American flag. He said that it was not the first time this individual had been warned about that behavior. It is not illegal to do it that way but it is not considered to be appropriate protocol. What is appropriate these days seems to be subjective—based on personal feelings, tastes, or opinions. It contrasts with objective. 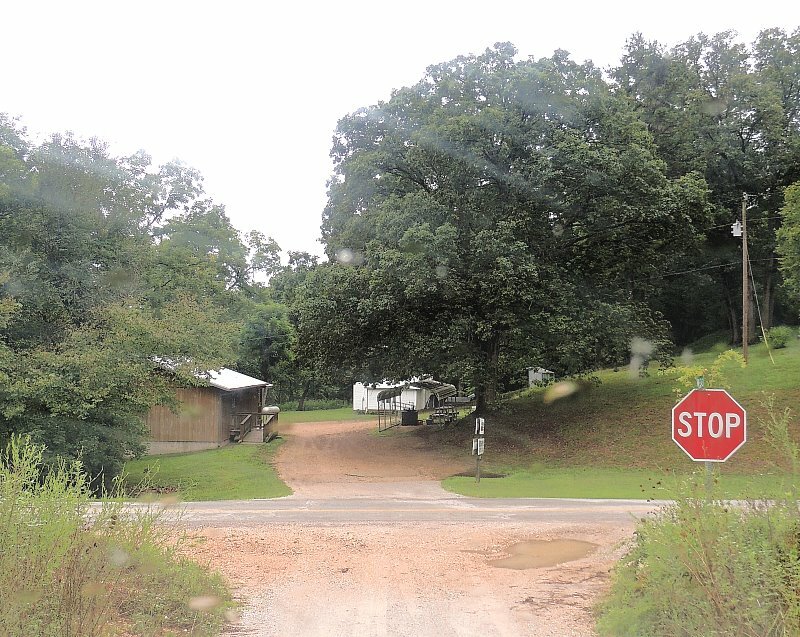 A federal appeals court has let ExxonMobil largely off the hook for a 2013 pipeline spill that deluged a neighborhood in Mayflower, Arkansas with more than 200,000 gallons of heavy tar sands crude oil, sickening residents and forcing them from their homes. The court decided that it was an unfortunate fact that despite adherence to safety guidelines and regulations, oil spills do occur and that the aging pipeline failed without violating any safety regulations in spite of the fact that it had been leaking and was susceptible to a higher risk of seam failure. This is not really a big deal unless it is your yard being oiled or if you were able to escape any responsibility even though you own stock in ExxonMobil or Pegasus. It turns out almost everything is subjective. Meanwhile, Chase Iron Eyes is working to get the charges against all of the water protectors dropped now that the U.S. District Court has ruled that the environmental review of the Dakota Access pipeline was inadequate and must be reconsidered. There are many Texas connections here in the Ozarks. People there are suffering and are in dire straits. The prospect of the hurricane being there for an extended period of time is dismal. As one recently quipped about ‘house guests and fish only being good for three days,’ hospitality runs out pretty fast for a rude guest. Go dump your water elsewhere, Harvey. There have been thousands of people rescued from their rooftops, from cars and trucks by many different agencies and organizations and volunteers. Assistance is pouring in from across the country and it is the best part of America that we step up to help each other. Natural disasters can happen anywhere on the planet and none of us is exempt from being vulnerable to something. There have been tornadoes in Douglas County in every month of the year. No place is truly ‘safe.’ The philosophy of lending a helping hand—love thy neighbor–is something to encourage at a time when the culture of extreme divisiveness seems to be a cataclysm in itself. The storms of life may come in the form of hurricanes or personal and family tragedies that break the heart. Champion hearts swell with love and compassion for their neighbors. It is a pleasant surprise to get to the foot of the drive to find that the road grader has passed that way. Does anyone know how many miles of county roads these gentlemen from the Drury shed maintain? The Champion News will endeavor to find out and meanwhile we will join our neighbors in expressing our appreciation for all their hard work. Our Route 72 mail carrier is another Champion in these parts. Karen Ross and her co-workers do a great job of getting the mail to us. Travel our beautiful roads down to the wide, wild, wooly banks of Auld Fox Creek any day of the week. The horseshoe pitch is getting quite a work out these days over at the Historic Emporium on the North Side of the Square, but there have been no reports of checker matches. Young Chase was there Wednesday leading the band with his new ukulele. “The ABC Song,” “Row Your Boat,” “Old McDonald” and “Itsy Bitsy Spider” are most of his repertory, but he will doubtlessly expand it over time. A hot new band called Second Wind has burst upon the scene. Maybe they will have some recordings out soon. Sherry Bennett, Lynnette Cantrell, Candi Bartsch and Teresa Davis Lindsay represent a lot of musical talent so their friends and fans will be looking forward to hearing what they put together. 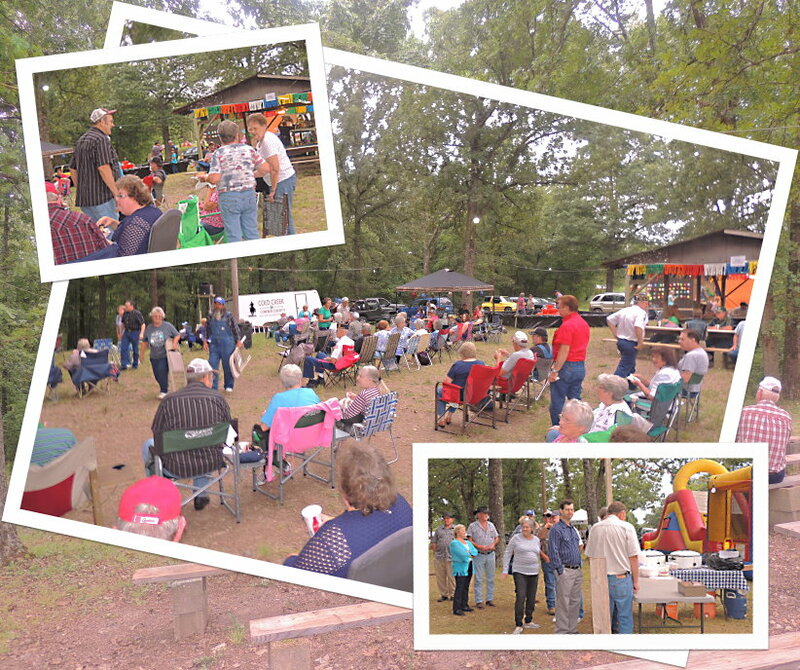 There are many exciting events coming up–school and family reunions, trail rides, wagon trains and the Pioneer Heritage Festival of the Ozarks on October 7 and 8. It is easy to find a song in your heart. “The storm in its fury broke today crushing hopes that we cherish so dear. Clouds and storms will in time pass away, the sun will shine again, bright and clear” in Champion—Looking on the Bright Side! 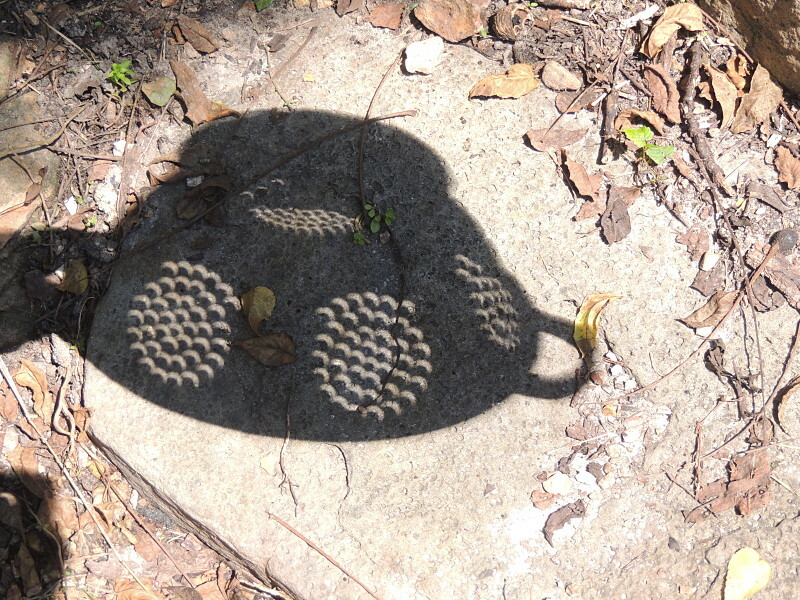 On advice from NASA one Old Champion used a colander to capture images of the shadow of the moon projected on to stone and paper. People in the whole path did all kinds of imaginative things to personally experience the event and to share it in a bond with others. Would we could likewise all come together with the best interest for the Nation at heart, endeavoring to care for one another. The darkness came and went. We are reminded that darkness has proven always to be temporary. It is ever thus on the Bright Side. A traveling student of the Civil War visited the memorial at the Denlow Cemetery. It is muggy in Champion. Minute dribs and dribbles of rain, alternating with intense sunshine, make it that way. The little breeze is nice though and everything has a lush, verdant look about it so there are no significant complaints to be had in these days that might be called the Dog Days of summer. There are differing ideas about what the Dog Days are and when they are. Some say they start somewhere between July 3 and August 15 and run for 30 to 60 days. Some say they follow the siting of the star Sirius, which is the brightest proper star in the night sky and called the Dog Star. It will be exciting to hear what people think of having seen the night sky in the daytime. A person born at the right time might have had the chance to experience Halley’s Comet two times. 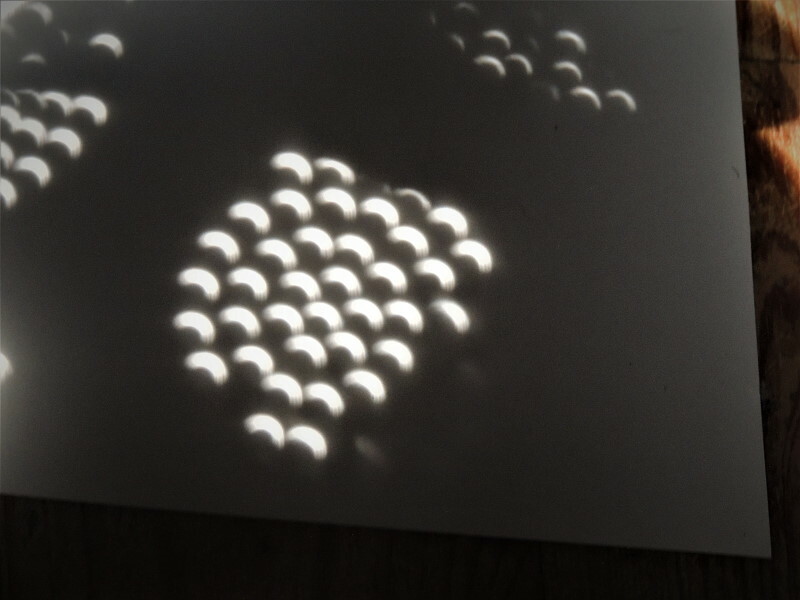 Young folks now might have the chance to witness a total solar eclipse for a second time, and maybe a third time or more if they are willing to travel. What comes to mind concerning these great celestial events is our relative insignificance in the big galactic picture. That is what we have in common with every other person on this planet-all 7.46 billion of us. They say it would not really be necessary to celebrate birthdays, but because of the general human condition of despair and hopelessness, celebrations of birthdays and other occasions are good for human psychological well-being. If one celebrates every day, then celebration becomes a normal routine and loses its value. We do not have all that much despair and hopelessness here in Champion, but we have many lovely folks to celebrate. Daniel Cohen spent quite a bit of time here back in the mid-1970s and still comes back from time to time. He lives in Stroudsburg, PA these days and celebrates bigly his birthday on the 24th. His uncle Georg Zappler was also born that day and has just recently passed away. Lauren Collins is a prekindergarten student at Skyline with a birthday on the 25th. That is also the birthday of fifth grader Dana Harden. Prekindergarten student, Brantley Kilgore, and sixth grader, Rowdy Woods both celebrate the 29th. Wes (Bill) Smith and Mini Jo Henson share the 29th as their birthday. Perhaps they will both be at the Champion School Reunion on the Saturday before Labor Day. Laine Sutherland might be there too–we hope. Her birthday is the 30th. Skyline first grader, Ray Hurt, and fourth grader Jenna Brixey both celebrate on the 31st. That is also the birthday of Champion granddaughter, Kalyssa Wiseman. Enjoy your day, all you Champions. 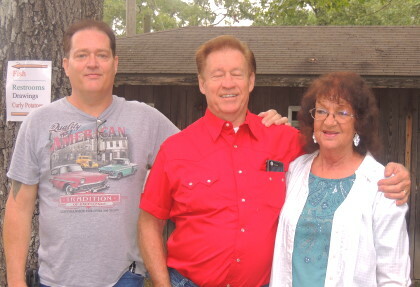 Connie Brown reported that thirty-eight family and friends gathered on Saturday for the Tetrick-Buchanan Reunion. She said, “Attendance was low, the temperature was high, but all in all it was a great day.” Connie and her Dad will likely be at the Champion School Reunion coming up in a couple of weeks. School and family reunions are some of the great breaks in the wonderful monotony of tranquil Champion life. To reunite with old school chums gives us the chance to harken back to our individual heydays when we were young and strong and vital. The future stretched out before us with promise. We make our own assessments about how that promise panned out for ourselves and, knowing what all had to take place in order for us to still be here, we are not quick to judge our old friends. Everyone’s road may be rough and rocky at some point in life. “I’m just happy I woke up,” is a catch phrase among the older set. As to family reunions, a very seldom seen relative writes, “My cousin gave me directions to the old general store [He really means The Champion Store-Henson’s Downtown G & G-the Recreation of the Historic Emporium on the North Side of the Square] so I could buy her a couple of cake mixes for the ‘cake walk’ at the [Skyline Volunteer] fire department fundraiser. ‘You’ll come up on two places where the road forks. Veer to the right both times.’ Knowing she is prone to a liberal thought now and then I couldn’t pass up the chance for a little jab. ‘Would a south Texas conservative ever veer to the left?’ Well I got the cake mixes and stood looking at the other end of this out-of-the-way gravel road and realized that if I wanted to get back to her house I would be forced to veer to the left two times, and I did. Sometimes eating my own words is good for my digestion.” Sometimes things get stuck in our craw and it takes a little hard swallowing to choke down the other feller’s point of view and some considerable gnawing on the tongue to keep peace in the family. Still it is worth the effort and if the whole country could give it a try we might all be able to digest a little better. The Douglas County Museum had its open house and quilt show on Saturday and the reports are that it was a lovely day that included music by Bevy Moore. Sharon Sanders has been looking for a checker game, but she may have been too busy that day. The General has spoken of trying his luck against her. It is an exciting prospect. 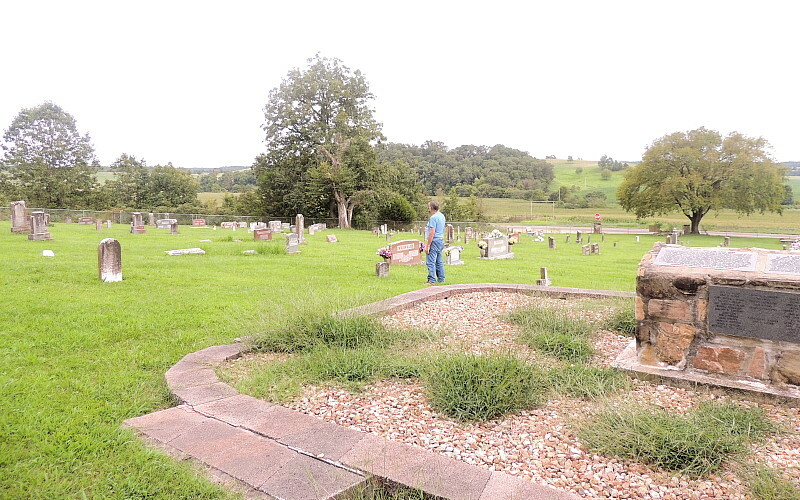 A sojourner in Champion made his exit out of Booger County through Ava on Saturday in order to plumb the Museum of its Civil War treasures and information. He had already visited the Civil War memorial at the Denlow Cemetery and gathered some reading material in Champion. 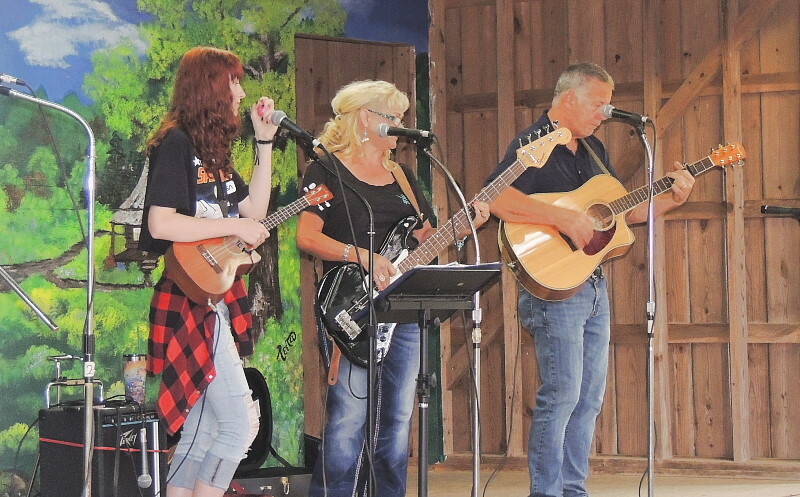 He spoke [at length] with locals at the picnic Friday and Saturday, on the Mountain Grove square at Lynnette’s Acoustic Jam, on the wide veranda at Champion on Wednesday, and at the Vanzant jam on Thursday. Now he is back in the middle of 4,900 square miles of city concrete thinking of his time in Booger County as having been magical. A month on the road probably had him crooning with Dean Martin, “I’ve got a home and a big warm bed, and a feather pillow for my head. I’m going back to Houston, Houston, Houston.” And as a result of the exposure, country folks are all that much more grateful to be where we are. School is back in session and youngsters are getting into the swing of things. Young Chase is now a prekindergarten student, attending two days a week. Reports are that he likes it just fine. Skyline will definitely be a more stimulating place with him in it. There is much to learn and our little country school is a great place to get started. Come down to the wide, wild, wooly banks of Auld Fox Creek to share an old song from your school days or things you might know about the Dog Days of Summer or lepidopterology-the study of butterflies. Look at www.championnews.us to see past school reunions. “School days, school days, good old golden rule days.” in Champion-Looking on the Bright Side! 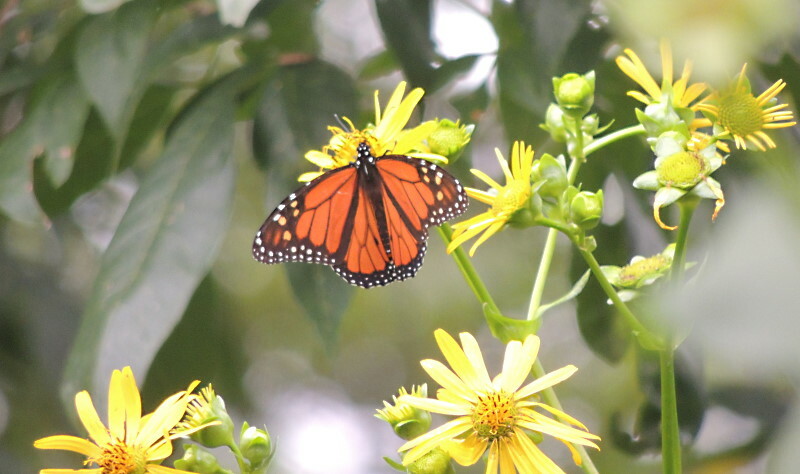 Champion butterflies decorate the banks of Auld Fox Creek. 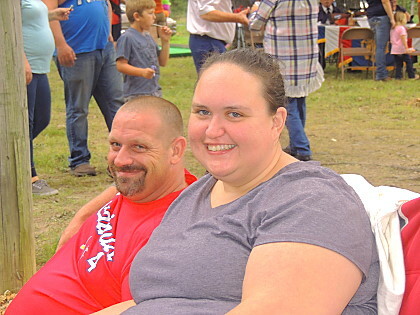 While it looked a little threatening, dismal, dreary and drizzly on Friday evening, the Skyline VFD Picnic took off and wound up being a delightful event. Friday was also the forty-fifth wedding anniversary of Darrell and Barbara Cooper and the whole crowd wished the happy couple well. Well-wishing and fellowshipping was the overriding factor both nights. Pleasant temperatures and no threat of bad weather boosted Saturday’s attendance, which one knowledgeable spokeswoman figured was easily a thousand. David Richardson, in addition to his other many talents, turned out to be an efficient and entertaining master of ceremonies as he kept the audience laughing and things moving right along. He and Brenda Coffman Massey are often seen behind about every good work in the area. Brenda flipped burgers on the grill and flashed her sunny smile at anyone who suggested she might be working hard. They are not the only ones (Teresa Wrinkles and others) whose good energies benefit the rest of us. We have the good fortune to live in a place where community matters and the effort it takes to keep it that way is happily extended by the core group of neighbors upon whom we have all come to depend. A stranger to these parts from the big city said he had never seen anything like this—no security details needed—people of all ages having a good time and enjoying each other. The flag ceremony particularly impressed him. Everyone was quiet and respectful. “Awesome,” he said, together with a whole lot of other things. Skyline School’s teacher, Carolyn Willhite, was the winner of the fire pit and lawn chairs. She has a nice spot for it on her place and her friends are pleased for her to have won. The 50-50 drawing was won by Jeanuine Burch, but there was no report as to the amount of the cash pay-out. Here is hoping it was a bundle! The year will go by quickly and we will get to do it all again if we are lucky. Look at www.championnews.us this week to see pictures of your friends and neighbors having fun on Saturday night. The camera battery became exhausted before the whole enjoyable affair was documented, so you will just have to rely on your memories or your vivid imaginations for your favorite images. If you took some good shots you would like to share, send them to champion@championnews.us. Mrs. Willhite might consider the grand picnic prize as part of her birthday celebration. That will be on August 23rd. Lauren Collins is a prekindergarten student at Skyline and her birthday is the 25th of August. Teahna Oglesby has her birthday on the 22nd, and the next day is her nephew, Drayson Cline’s day, and the next one belongs to another nephew, Dakota Watts, and the next one to Aunt Barbara Krider and the next one to Aunt Rita Krider on the 26th. Those are not all the August birthdays for this family and it is party time from Missouri to Illinois, to Tennessee. Champions cheer for your birthdays! 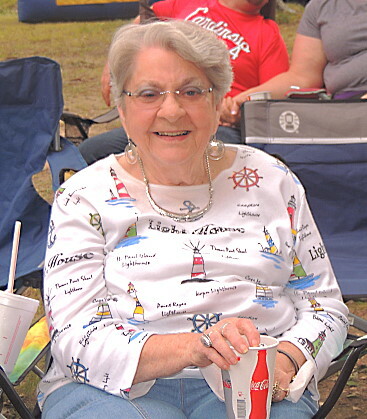 Sally Prock always enjoys the picnic. The Perseid Meteor Shower was to be at its peak on August 12 into the 13th and it is reckoned that there was a real show somewhere up above the thin veil of clouds over the Skyline Picnic. In places where the skies were clear, observers surely enjoyed the vision of many wish laden shooting stars though the bright moon may have obscured it to some degree. The astronomical spectacle of the total solar eclipse (The Great American Eclipse) will soon be upon us—August 21st. Here in Champion the best information available says that we will experience our version of the event to about 95.91% coverage of the sun. It will begin at 11:44.24 am and reach its maximum at 1:13.21 pm and end at 2:41:03 for a total of 2 hours, 56 minutes, and 39 seconds of unusual sky. It is the first time in 148 years that the sky has looked like this. The next time will be in 2024. 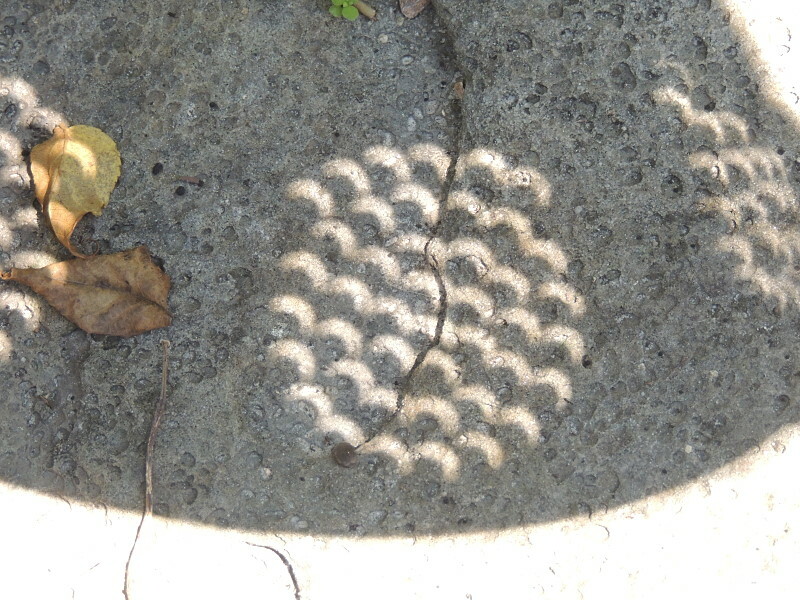 There are instructions on line for building a pinhole camera to view the eclipse. There are also special glasses available for sale in town. Some use the glass of a welding helmet to protect their eyes. However you go about it, learn how to be safe and to take care of your precious eyesight. Alvin and Beverly Barnhart with their son. Visiting family, the picnic, the eclipse, the garden, canning and yard work all do a good job of keeping us away from the news. While some are of the opinion that we have an obligation to stay informed, there is some relief to be ignorant of the current situation. It seems that we see a cruel, frightening upheaval all over the world. Some of our anxiousness may be connected with the enormous amount of news, information and opinion that is available these days or with the jangling of jingoism that keeps our eyes off what really may be important and who knows what that is? “Silence is complicity,” they say, but who are they? Whatever ‘side’ you happen to be on, remember that it takes two wings for the bird to fly. Once our beliefs are established in us we are not likely to change even in the face of fact or truth. There is good and bad in every outfit. We Champions just figure that we know how to behave and we wished to Heaven that everybody else did. 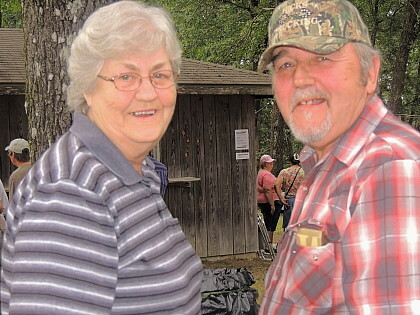 Darrell and Barbara Cooper celebrated their 45th wedding anniversary at the picnic. Travis Hathaway will be pleased to know that his version of “Jimmy Brown the Newsboy” was the hit of the Skyline VFD Picnic cake walk. Travis is often at the Vanzant Jam. Last Thursday several musicians who come infrequently joined with all the regulars and the music circle swelled to more than 20. In the audience Granddad Webber had daughters, sons in law and grandchildren in from both sides of the continent with him. Lynette Cantrell with her marvelous mandolin was also there, just having celebrated her own birthday. Everyone reported that her first Monday Night Acoustic Jam on the Mountain Grove Square had been a great success. Everyone is welcome to bring your acoustic instrument and join in or just come to listen. It starts at 6:30 and goes on until 8:30 every Monday evening. By the time cold weather gets here she expects that she will have found a free indoor venue. The mild weather we are experiencing is unusual for this time of the year and no one is complaining. When we enjoy our measure of health, our precious family, our dear friends, our comfort in our idyllic environment and measure it against the circumstances of the great majority of the people living in the world today, we find ourselves to be fortunate indeed. Come down to the wide, wild, wooly banks of Auld Fox Creek to enjoy one of the world’s truly beautiful places. Sit a spell and visit or share some old song that makes you feel like you are at home where you belong or like things are going to be OK because there is enough good around to share. ”There’s a dark and a dreary side of life. There’s a bright and a sunny side too. Though we meet with the darkness and strife, the sunny side we also may view” in Champion—Looking on the Bright Side! Henson’s Grocery and Gas until the picnic starts on Friday. Someone asks, “Will there be those excellent, mouth-watering catfish fillets at the Skyline VFD Picnic this year?” The answer is, “Yes, indeed!” Additionally there will be those curly potatoes and all the picnic fare including the pies and cobblers generously donated by the Skyline Fire District membership. There will be games and free prizes and the music, music, music. There will also be the chance to connect with friends and neighbors you have not seen since the last picnic. 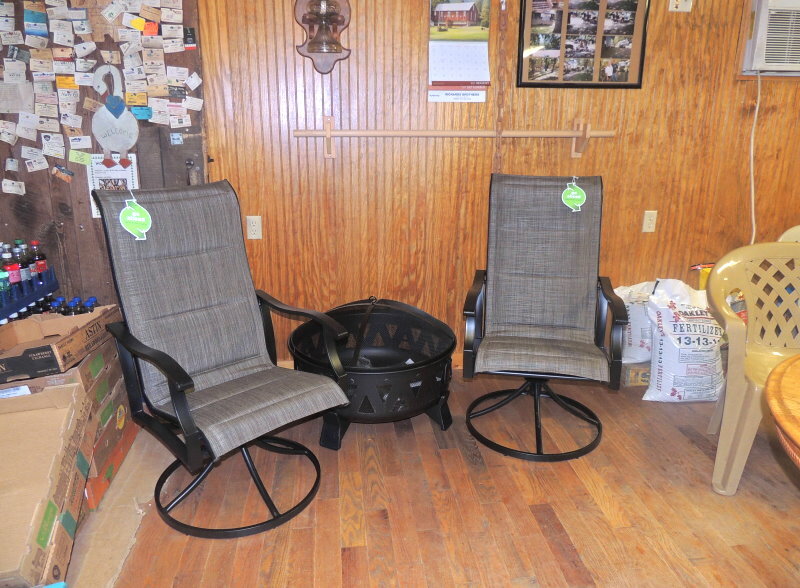 This year the grand prize will be a fire pit and a pair of stylish, comfortable lawn chairs, which will look good on some lucky winner’s patio. Volunteers are working hard to make it a nice experience for everyone in the community and the community responds bigheartedly to support the vital organization that protects our property and our lives. Those volunteer fire fighters are all first responders who know how to get us out of a wrecked car or how to administer CPR if we need it. August birthdays to celebrate include Champion grandson Seamus Heffern on the 2nd and Lavonne Carter on the 6th. Kalyssa’s old Dad celebrates on the 8th. Three Skyline second grade students have birthdays in early August: Caleb Harden on the 5th, Jaycee Hall on the 10th, and Cryslynn Bradshaw on the 12th. Kids with summertime birthdays might miss out on parties with their classmates, but they enjoy their birthdays nonetheless. School will be starting up again soon and with it will come renewed friendships, new friendships and all the excitement of learning that the teachers and staff of this vital little rural school work so hard to make possible. They are Champions every one! Lynette’ Cantrell’s wonderful acoustic jam has been relocated to the square in Mountain Grove. It happens on Monday evenings starting at 6:30. Everyone is welcome to come and bring your acoustic instruments or just come to hear your friends and neighbors sing. Bring your lawn chairs and your music appreciation. The Thursday jam at Vanzant was another lovely evening. The pot luck is always terrific and the circle of musicians changes from week to week but every time it is great. It is a rare set of words that Dean Upshaw does not know and it is always a treat to see people in the audience singing along. 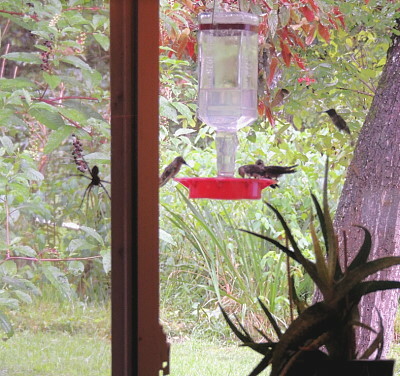 The big wolf spider does not concern the Champion hummingbirds swarming after the rain. The July 24th edition of The Champion News reported that the Missouri State Checker Champion was Vernon Douser, when, in fact, his name was Vernon Dowsey. His nickname was Skillet. He was a dairy farmer who lived south of Mountain Grove and came to state wide checker fame in the 1950s. The checkerboard is ready in the reading room at the recreation of the Historic Emporium. The proprietor keeps it up on a shelf so that youngsters too young to play the game do not scatter or eat the checkers. Brave folks are welcome to give the game a try. If there are spectators, you can be sure they will be quiet so as not to break your concentration. Sharon Sanders is ready and waiting to take on all challengers at the Douglas County Museum in Ava any Saturday between 10:00 a.m. and 2:00 p.m. Many Champions are old enough to remember the lovely Swedish actress, Ingrid Bergman, in that great film Casablanca. She was born in 1915 and had many great roles in the movies including one with Charles Boyer, where his character set out to destroy her perception of reality. He used persistent denial, misdirection, contradiction and lying to sow seeds of doubt to make her question her own memory, perception and sanity. This behavior is known as ‘gaslighting’ after the name of that 1944 movie. Sometimes lately it seems the world has been turned upside down and the whole nature of truth is in question. For example, one rambling neighbor suggests that Communists and liberals do not allow God. Who knows what Communists believe? It does turn out, however, that the biggest liberal of them all was a Jewish carpenter who ministered to the poor, the sick and suffering. His philosophy was based on compassion, equality, inclusion, forgiveness, tolerance, peace and, most importantly, love. Liberals generally support ideas such as freedom of speech, freedom of the press, freedom of religion, free markets, civil rights, democratic societies, secular governments, gender equality and international cooperation. That people are so contentious with each other these days is more than a little troubling. Folks get worked up easily in these unsettling circumstances. When the dust settles, we will all still be neighbors and, hopefully, friends. One Old Champion says she wants a liberal piece of pie, not some conservative little sliver of ‘I Wish I Had More Pie’ pie. Bob Dylan’s song ‘Country Pie’ says, “Raspberry, strawberry, lemon and lime/What do I care/ Blueberry, apple, cherry, pumpkin and plum /Call me for dinner/ Honey, I’ll be there!” Founding Father, President John Adams, said, “Government is instituted for the common good: for the protection, safety, prosperity and happiness of the people; and not for the profit, honor, or private interests of any one man, family, or class of men.” While we do not know what his favorite pie might have been, the honorable President Adams has certainly given us something to chew on. The solar eclipse is getting a lot of attention, as well it should. It is being called the Great American Eclipse. There will not be another like it until July 2nd, 2019, and they say it will be visible in the South in North America, in much of South America and the Pacific. There are plenty of interesting things going on in the heavens. The biggest meteor shower of the year will be Saturday the 12th of August. Pause on your way home from the picnic to look up into the sky. You are likely to be rewarded with the vision of many shooting starts. Make your best wishes. When the eclipse comes around, be sure you have protective glasses. They are available in stores already. The rain and cooler weather has been refreshing after what seemed like a long episode of hot and dry. The week ahead looks favorable for getting some things done in the cool and Volunteers are optimistic that the picnic will be a great success. A nice article on the internet describes how actor Bill Murray recently had problems with his rental car while passing through West Plains. A number of people came to his aid in a short time and what seemed to impress him the most was that they did not recognize him and were just genuinely helpful, friendly people. In an interview on the radio (wrpm33) he said, “I’m telling you, these people in West Plains are the real deal. I’m going to move there after I retire.” It is to be noted that the radio station posts a disclaimer: “Most of the articles on wrpm33.com are works of fantasy or satire and are not true. This website is meant for entertainment purposes only.” Still, it was a nice story. A Champion abroad is working up the tune “Accentuate the Positive” to add to his repertory. He will do it in the key of D most likely. Whatever key is most comfortable for you, feel free to belt it out while you are on the wide veranda overlooking Auld Fox Creek and one of the world’s truly beautiful spots. “You’ve got to spread joy up to the maximum/ Bring gloom down to the minimum/ Have faith or pandemonium’s/ Li’ble to walk upon the scene” in Champion—Looking on the Bright Side! See you at the picnic! Champion mud puddles are a welcome sight after a long dry spell.